Michael Farrell’s new book “The Sugarmaker’s Companion” now available! 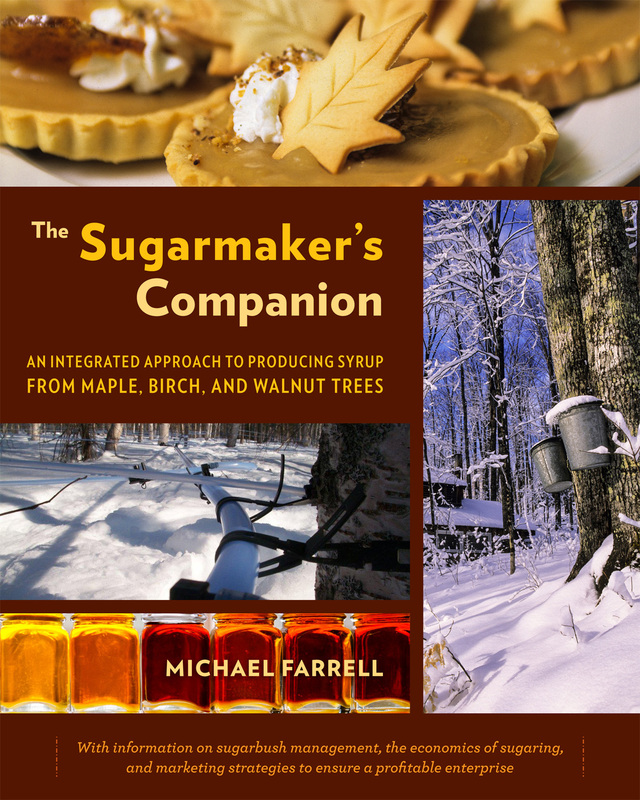 Recently, Michael Farrell, the Director of the Uihlein Forest – Cornell`s Sugar Maple Research & Extension Field Station, released his new book The Sugarmaker’s Companion: An Integrated Approach to Producing Syrup from Maple, Birch, and Walnut Trees. The book is currently available for purchase, and has received excellent reviews from the sugaring community. More information from Michael about his book is available in the letter below. As many of you know, I spent most of my free time over the past two years writing a book on sugaring and I’m very pleased to announce that it is now available! The Sugarmaker’s Companion: An Integrated Approach to Producing Syrup from Maple, Birch, and Walnut Trees contains a great deal of information on how to develop an efficient, profitable, and enjoyable sugaring operation. Some of you have already gotten a chance to review it and I hope more of you will have the opportunity to read it soon! A couple of weeks ago I attended the annual meetings of the North American Maple Syrup Council and International Maple Syrup Institute – the compliments I received from so many leaders in the industry who had already read it were extremely satisfying! Getting such great feedback was a nice reward for devoting so much time and effort into writing the best book that I could for today’s sugarmakers. Given the importance of online reviews, I’d be grateful if you would help spread the word and post a review on websites such as Amazon or share on facebook, twitter, personal websites, or any other social media outlets. Please also suggest that your local bookstore, library, or maple equipment dealer carry the book. Chelsea Green Publishing is handling the vast majority of sales and distribution for the book, though I am also doing some limited sales and promotion myself. You can get a 35% discount by ordering direct from Chelsea Green’s online bookstore (until Nov. 22nd). Or for resellers, get a 50% discount if you order 10 or more copies by contacting Darrell Korener (DKoerner@chelseagreen.com). Please let me know if you have any questions and thanks very much for your support and encouragement! This entry was posted in News and tagged Michael Farrell, Sugaring, The Sugarmaker's Companion. Bookmark the permalink.